Two valentines day cards that will help you express your love to that special someone in your life. Bright red base cards or black base cards. Whichever you use as a background for your design, adding a heart or two love hearts is a must. I'm sure the following two valentine greetings will be a hit this valentine day. I made these in one day and my friends love them very much. So I thought I will take a photo and upload it here with instructions. The first is very easy to make and the other, not so difficult if you just follow the step by step instructions given below. black color cardstock - 8.25" x 6"
Paint bold strokes on white color card stock with red, black and gray acrylic paint. Leave to dry and cut to quarters. Use one of them and keep the remaining three pieces for other card projects. Trim down to 4" x 5.75". Ink aged background block with gold ink and stamp on bottom right with half the stamp outside the white card. 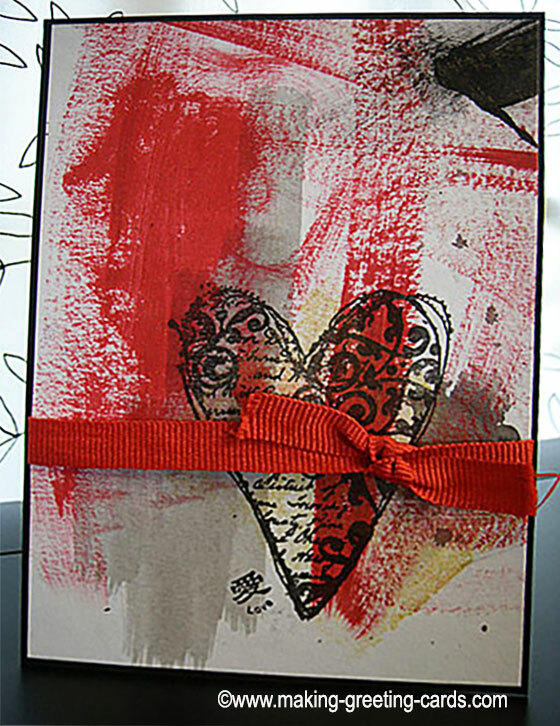 Ink heart rubber stamp with black pigment ink and stamp on the bottom right of white card. Ink little chinese character stamp with black pigment ink and stamp on the bottom left of heart image. Apply glue on the back of white card and attach to front of black base card. Viola! A simple black and red happy valentines card with a touch of gold. Hope you like it and will make many of these valentines day cards and send to friends and family members this valentines day. red color cardstock 11.5" x 6"
white card stock 5" x 6"
xoxo design paper 3"x 6"
Cut, score and fold red color cardstock as per template. Ink 'i love you!' clear stamp with the red in pad and stamp on white cardstock. 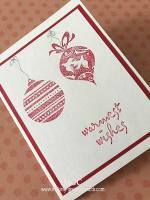 Apply glue to white scalloped circle die cut and attach to red card. Trim and glue to red folded card on the right beside the scalloped circle die cut. Apply double-sided foam tape and layer the red punched heart on the white scalloped circle die cut. 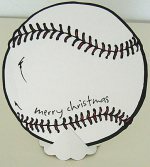 Use a sponge to apply color to the die-cut paper. 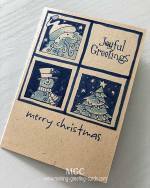 Apply glue on back of XOXO design paper and attach to the middle panel of red folded card. 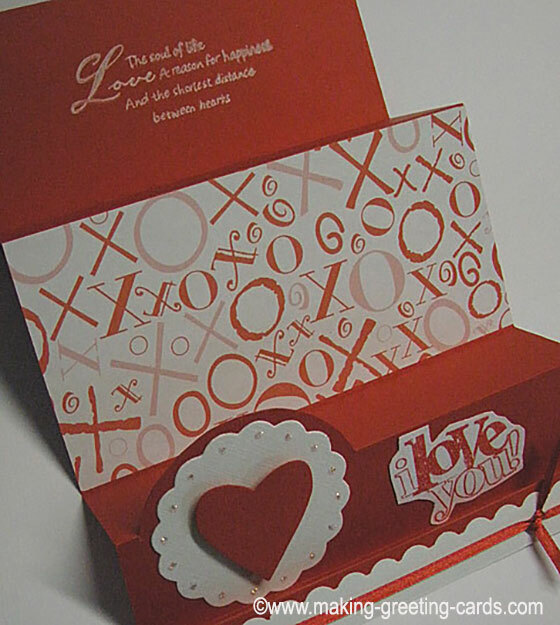 Ink love message clear stamp with white pigment ink and stamp on the back panel of red folded card. Punch scallop border on white card along the 6" length side. Cut out the strip, tie ribbon, apply glue and paste on the narrow front panel. Use glitter glue pen to apply dots to the white scallop circle. 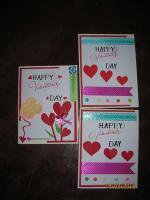 Allow time for the glitter glue to dry before folding and posting valentines day cards.